Wipro bagged its biggest outsourcing contract worth $1.6 billion for 10 years from Alight Solutions LLC. Wipro is assured of at least $150 million in annual revenue after the deal. Union Bank of India has moved NCLT against Gammon India for ₹315 crore default. Gammon owes around ₹ 7,000 crore to its lenders, failed to repay a term loan and interest to the Union Bank. Kissht, Fintech startup, is in advanced talks with B Capital, Eduardo Saverin’s venture capital firm, to raise $50 million in the Series C funding round. Kissht is a consumer credit startup, which allows consumers to pay for their online orders in monthly installments, without a credit card. Indian Oil, HPCL and BPCL are all setting up incubators, or are funding startups that will help them solve the operational issues and improve fuel efficiency. Suzuki Motor Corp is planning to invest ₹ 9,000 crores to build a new car plant in Gujarat. The investment may double its annual capacity to 1.5 million vehicles. Byju, an Edutech startup, is in talks with General Atlantic and Temasek Holdings to raise $200-300 million. The transaction is expected to close within the next few weeks. If Byju manages to raise the funds at a $2 billion-plus valuation, it would more than double the company’s value and will cement its status as one of the breakout startups in India. The board of ICICI Bank has asked Justice BN Srikrishna, who is conducting the investigation against Chanda Kochhar to cover all the property dealings by kocchar’s family after she took over as CEO of ICICI Bank. It has been asked to examine if the properties acquired were at concessional or lower than the prevailing market prices. Samara Capital-Amazon consortium will acquire Aditya Birla Group’s food and grocery retail chain More at an enterprise value of ₹4,100- 4,200 crores, even though Goldman Sachs has exited the consortium. The deal is likely to be completed within the next 10 days. The acquisition will effectively wipe out the entire debt in ABRL’s book, which was about ₹4,000 crore as of March 2018. SEBI is trying to tighten the Disclosure Rules for FPIs coming from countries which are not members of the Financial Action Task Force to prevent money laundering. Even after the acquisition of Costa coffee by Coca-Cola, Ravi Jaipuria, the Indian operator of Costa coffee said that he is keen to run its business in India if there is no conflict of interest. Coca-Cola bought Costa Coffee for $5.1billion on Friday last week. As per the amended rules of Government, it is not mandatory to mention father’s name while obtaining PAN. The rules are amended so that the children of single mother do not face any hassle during the allotment of PAN to each taxpayer by the Tax department. 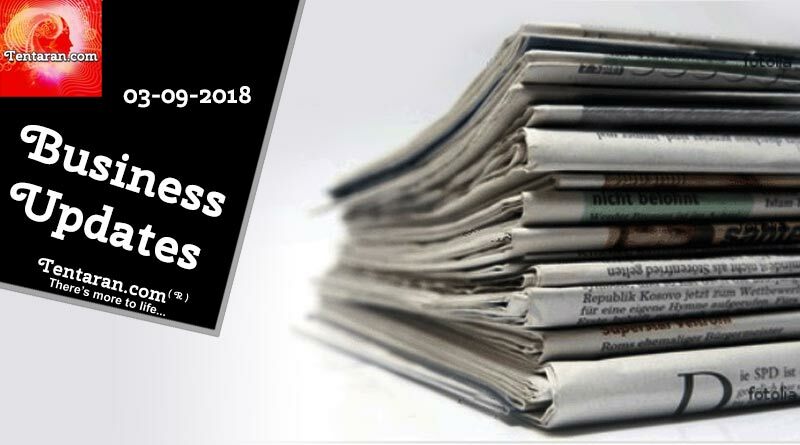 India business news headlines 3rd September 2018, For more updates, do Subscribe to our newsletter and follow us on Facebook, Twitter and Google+.